28mm Victorian Warfare: Birthday Blog Prize Draws! Today marks the second anniversary of '28mm Victorian Warfare', an off-shoot of this most wholesome of hobbies that has demanded more and more of my time of late but has given me such a great deal of pleasure. The wonderful sense of camaraderie that seems to exist in this corner of the blog-o-sphere has been such a great boon and as a result I feel that it is high time to give something back to the greater community and as giveaways seem to be en vogue at present I've decided to embrace the concept. To that end there are a series of prizes on offer ranging from the mundane to the mildly ridiculous. In order to qualify you must be a public follower and express which prize draws you would like to enter (you may enter as many as you like) by leaving a comment below. I hope to make the draw on the 31st March at which point I will ask the winners to make contact via email to discuss distribution. 1. 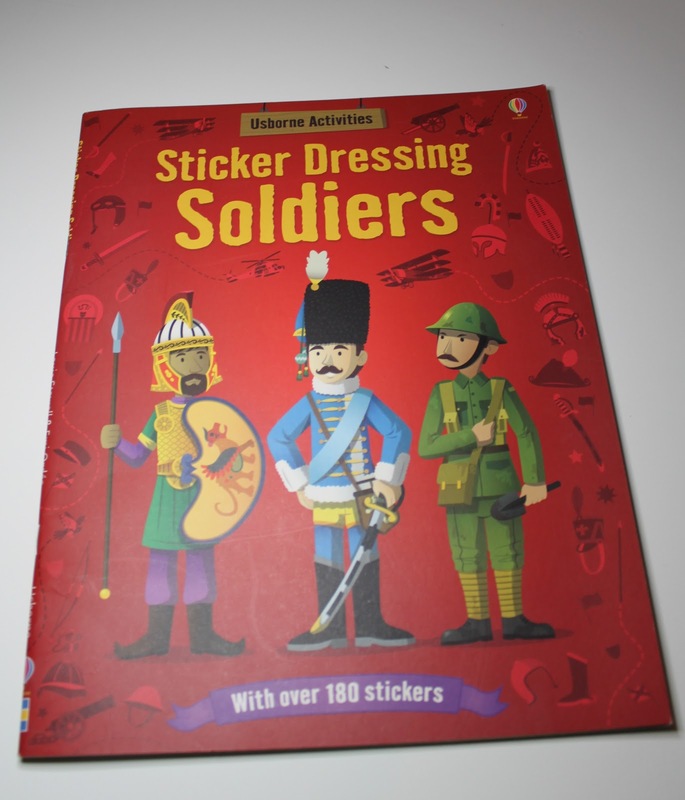 Have some frivolous fun on me with this Usborne Activity sticker book. 2. 'Britain's Forgotten Wars' a must have reference book for all of Victoria's little wars. 3. James Thomas Brudenell, 7th Earl of Cardigan, a Wargames Foundry miniature painted by your truly complete with a miniature Crimea War Campaign medal. 4. Empress Miniatures' Hollywood versions of Chard & Bromhead this time with a miniature South African Campaign Medal and once again painted by my good self. 5. Finally a 'Command Stand'! Some may remember mention of me starting a bespoke painting service, focussing on one off command stands - I can't every imagine painting an amy to order! Well this prize is for one of those, simply supply the miniatures you want in the stand, with some ideas as to how you envisage it working and I'll do my best to realise your requests. I imagine the stand to comprise of a couple of mounted miniatures, or perhaps up to four foot soldiers, a vehicle or pretty much anything else, just please remember that I paint at a snail's pace! Remember you can enter as many of the draws as you want and much dice rolling will decide the winners on the 31st March. Not a problem David consider it done. Hurrah for free stuff! Blimey those really are smashing comp prizes, put me down for No. 2 please. What a great draw - most kind of you. 2, 4 and 5 for me please! Not a problem my good man. 2 years well done. No prises required by me. I just want to wish you luck and hope that it goes well. That is incredibly sporting of you Clint and thank you for the kind words. Thank you Tamsin and of course Ma'am. Happy blog birthday Michael – congratulations on the two years. Maintaining a wargaming blog is quite a commitment and time investment so two years without significant gaps is no mean feat. I didn't manage it. Thank you Mike although I am stating to worry just how much time the blasted thing demands! 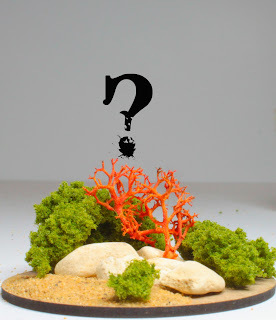 A command stand for the Dark Templar - who knows what that might involve! Happy Anniversary Michael! I would be most honoured to win any of these items sir. But the thing I need most is number 2. Yes, I do need to improve my knowledge of history. Thank you Anne, but I am I to put you down for all or just number two? I think all unless I hear otherwise. Yes, please put me in for all of them. Do I get more chances for more comments. I'll swamp more page like I did Ray's! I'm not sure we want to be encouraging that sort of behaviour now do we young lady! 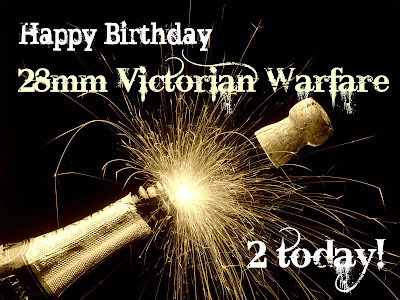 Happy 2nd Birthday Victorian Warfare!!!!!! Number 2 for me please, I have become enthralled by this period. Thank you Simon and consider it done Sir. Two years - well done sir - well done. 2 and 5 please and thank you. Thank you and great choices my good man. Thank you Ray and it would be great fun to paint something for you Sir! Happy 2nd Blog Birthday Michael. I am sure there will be many more. Thank you Rodger and I do hope so. Happy birthday, 28mm Victorian Warfare! Put me down for no.2, please Michael. Consider it done my good man. Thank you Mr Awdry, for two years of cool figures and fun banter! Please put me down for 1. (For my daughter), 2. (For my friend Mr Hoare), and 5. (For my colleague Mr Faulconbridge). Thank you Dave, it is such a thrill to know that someone else other than me reads this drivel other than just me! Your choices have been recorded Sir. Put me down for numbers 1 and 5 please! Happy birthday to a cracking blog! Thank you my good man and choices now logged. Could I have a go at No 2 please? Thank you Sir and of course you may. Thank you Ian that is incredibly kind of you and wonderful choices Sir. Please enter me for all of them please! I'm jolly glad to hear it Sir and an excellent tactic! Congratulations Michael on your blog's anniversary. I don't need a prize so I'll just say chive on with your good work here. Thank you Michael, much appreciated Sir. Congratulations, 2 years of great minis and painting, here,s to many many more, your work is quite inspirational. I'd love to be put in the draw for 2, 3 and 4 please. Thank you Derek; kind words and great choices! Congratulations! A very good blog it is. I like 2 and 3 but as I'm in the US of A and it might be prohibitive to mail a prize so I respectfully bow out of the drawing. Scott that is very kind of you, but I'll put you in none the less. Congratulations! You have wonderfully entertained me for almost 2 years now. Thanks. I would like #6...Another year of Lord Awdry's Blog! Thank you Jay and number 6 is a lovely idea - I shall endeavour to do my very best. Happy birthday 28mm Victorian Warfare! Thank you and of course Sir. Rusty that is incredibly kind of you; your choices have been logged Sir. Absolutely Sir and thank you. Congrats, I would want to enter for 2, 3 and 4! As I would like to own some of those well-painted miniatures and the book looks also interesting. That is incredibly kind of you and good choices Sir. Well done mate - "Happy Blog-Birthday!". Its been a pleasure watching your work. Thank you Scott and I'll put your choice in the hat Sir. Thank you Thanos, very kind of you Sir. Happy anniversary! Put me down for draw #1 please! Happy Birthday. I have really enjoyed your blog, so I'm looking forward to at least another two. Please put me down for number 4. Thank you my good man and your request is safely logged. Happy Birthday! Please stand your good self and Mr Burnaby a drink on my tab. A chance to OWN an Awdry original?!? Awesome stuff! Count me IN for draws 3-5 please mate. Haow in credibly sporting of you old chap; your requests have been actioned by the staff! Consider it done my Captain. It's always a great pleasure to come here and take a look at your excellent work and good articles. For the prize draws I would be happy to join 3, 4 and 5. Monty you are gentleman and a scholar Sir. All requests safely logged and ready for the draw. Thanks Michael, I do my very best. 2 & 4 for me please. Consider it done Sir and thank you! I can't believe it's only two years. I've found this blog really inspirational, a great read and the paintwork is annoyingly awesome. My wife loves Zulu! She'd be really chuffed to get the Caine/Baker minis and me too of course, so please enter me in draw 4. Thank you Mark; here's to keeping the wife happy. Congrats Michael on your b'day. Forgotten wars , and stand painted by your good self foe me.... so how are you at Cowboys? Thank you Dave; cowboys eh? Could be fun though. Thank you my good man, can I tempt you with anything from the draw? Gosh I forgot to say 2,3 or 4 please. Of course Sir, already logged. I'm surprised more haven't chosen this star prize! Congratulations - 2 years - doesn't time fly etc! I'd like a stab at 4. and 5. Michael and congrats by the way! I was getting worried that you might have missed this - choices logged and best of luck Fran. I'm in again for the new Stretch goal Michael! Almost missed this, but there's 'almost'. Count me in for 3&5 if you may. Happy Birthday! Would you be so kind as to place my name in the hat for No 2 (the excellent book). God bless you, you are a Gent. an' no mistake. Too kind Sir and consider your requests logged. I would be most pleased to enter my name into the drawings for prizes 2, 4, and 5, if you would be so kind. Felicitations on the anniversary of the blog's nativity. My good my Man, a pleasure to have you aboard. Happy 2nd, and I'd like to be considered for 2, 3, and 4. Thanks! Please put me into the draw for 1 and 2, Ta muchly old chap. Thrilled to have you onboard Mr Smillie. Please put my name down for #2. Happy birthday good sir! I would be humbled to #2 or any of the others. I'll put you down for all of them my god man. I'm in for #3 and #4, some how they will end up in Calamity. It would be my pleasure Kris. Terrific, Michael. Extremely generous of you to be offering some top-notch prizes. May I go for the book #2 and Lord Cardigan at #3 - hard to resist either! Your blog has been a huge inspiration to me in the last year. I love your painting style, and above all the fantastic, all-embracing spirit you do everything in. Certainly on of my top ten favourite blogs, I wish you the very best for many blogging years to come! Sidney, what incredibly kind words and it would be my absolute pleasure to include you in the draw. Very generous draw you've got going here, glad to see its drawn such a good response, speaking of which, here's mine! I'd love to be entered in for draws 2, 4 and 1, and before anyone gives me any funny looks, 1 would be for my little 4 year old brother, never too early to begin indoctrinating them to our hobby! Finally, congrats on the milestone! My good Colonel, many thanks and welcome aboard Sir. I shall see your requests logged immediately.